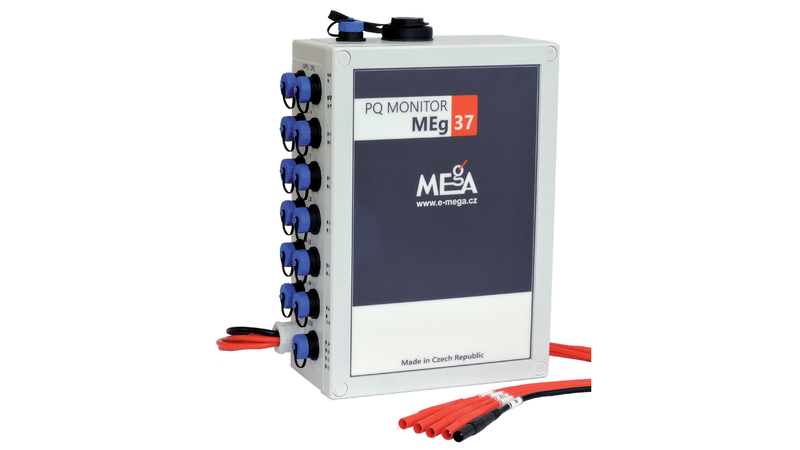 The portable multiple input PQ monitor MEg37 measures four voltages and the total of 36 currents at the LV level. 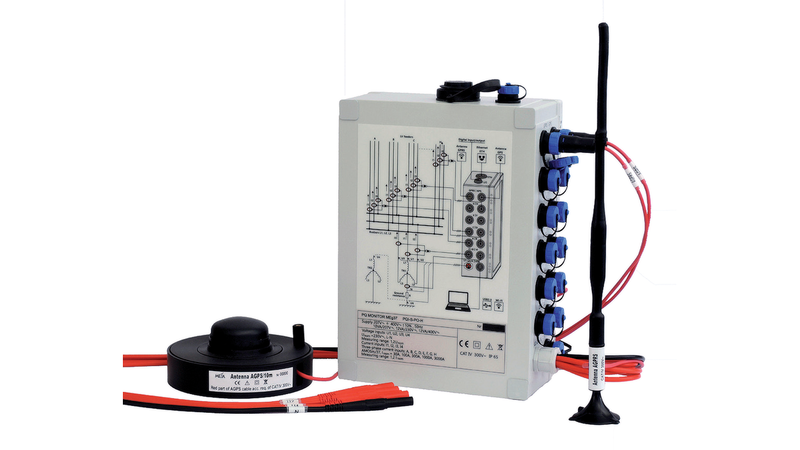 It provides the functions of measuring and evaluation of voltage quality, recording of time courses of electrical quantities and the function of electric power measurement and record of ripple control duration. The mentioned functions ar performed simultaneously. In the function of measuring and evaluation of voltage quality, it evaluates the set voltage quality parameters for three measured voltages and three measured currents according to EN 61000-4-30, ed. 2, with the precision of Class S using methods meeting the requirements of EN 62586 for Class A. At events specified in the voltage quality standard as well as events initiated by overcurrents, it records courses of RMS half values with an optional pre-trigger and post-trigger in addition to the stated parameters. In the recording function of all the measured quantities, the monitor calculates an average value for individual user-defined recording intervals from ten-period values and evaluates the maximum and minimum ten-period value. It records time lines of these values and the values of active and reactive energies with the distinction of flow direction, derived from all current channels to non-destructive data memory. In the function of electric power measurement, it accumulates ten-period values of active and reactive energies for individual record intervals to six registers for active, reactive inductive and reactive capacitive energy with flow direction distinction. It also saves the time line in individual record intervals of accumulated values of six energy registers for all the current channels.